An enquirer on Tripadvisor wants to know the best classical music listings for London. So we put ‘classical music listings london’ into Google and discounting individual venues what we get is as follows. Time Out is horribly clunky and incomplete. Concert Diary is quite neat but also incomplete. Visitlondon.com is comprehensive but pretty clunky and difficult to get useful information out of. Londonclassicalconcerts.com seems to be a site for selling tickets at some of the main venues. Classical-music.com is also pretty clunky but gives you a lot of detail on a restricted number of concerts. Bachtrack is whizzy and gives useful information quickly and neatly, as well as being reasonably complete. By way of comparison, the hard-copy Guardian listings are also neatly laid out, but not especially complete. So we recommend Bachtrack, supplemented by Visitlondon.com if you think you might be missing something. There is no charge for this event and all are welcome, but please RSVP by April 22 by email for catering purposes and if you would like a parking space (note, these are limited). I am learning how to draft and sew my own clothes. There are these fabulous Russian books and dvds that have ALL I want.They teach you easy and clever ways to get the right fit without having to do numerous alterations . They have those great techniques that would give you professional results without having to put much effort! I could not find them in anywhere in English!!! The problem is that they are in Russian and I have been trying to find a translation agency that has reasonable prices but they are Way too much for me . It is for my personal use , I don’t intend to sell and gain profit. Most would charge between 8-15 cents per word and for 1 hour dvd the prices are outrages like 1000 dollars! I wonder do you know of a reasonable price translation agency or individual who has good translations but not expensive? There is a software but it still needs someone to review and by the way it costs 300 dollars. It seems to me that it’s highly unlikely ever to be an economic proposition to have a book translated especially for yourself. If it was me, I think I would pay for some dressmaking lessons instead, as being cheaper and more useful. If you want to use the books/DVDs, I would advertise on Gumtree (craigslist, etc) for a Russian speaker to spend an hour or three going through them with you and explaining what they’re about–that might be enough if there are plenty of illustrations. The other thing to remember is that a surprising amount of Russian ‘practical’ literature is derived from foreign-language sources, so that’s something you could easily get someone to check for you–whether there’s an English-language original it’s been adapted from. For a specific technical area with a restricted vocabulary and range of grammatical constructions automatic translation might be good enough though I’m not sure how you would get the text in from a hard-copy original. If you can get the text in electronic form, try a sample on one of the free online translators and see how useful the result is. However, I can’t help feeling that what you want to know is common currency among women of a certain age and background–for instance, anyone who was a young woman in the UK in the 1940s or 1950s will know how to make her own clothes and have spent many, many evenings doing so…It’s just a case of making contact. I agree with all the comments. And even in leafy Leamington you can get group or private sewing lessons really easily. Why the questioner has ended up with Russian sources only I can’t imagine. 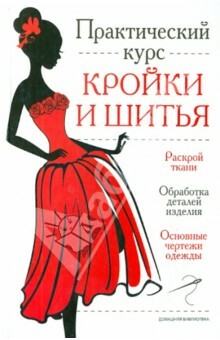 It’s likely that there are still more people dress-making in Russia than UK/US, but there are older books giving this sort of information in English. Re the translation – it’s the sort of comment that makes my blood boil. If you pay peanuts you get monkeys. I bet she doesn’t do her own job for less than the minimum wage. I doubt if she’d get a proper translation for less than the lower quote though the upper one sounds relatively high. Obviously a freelance might be cheaper than an agency. The free translations are pretty good these days, so I don’t know why she’s even looked at purchasing software.